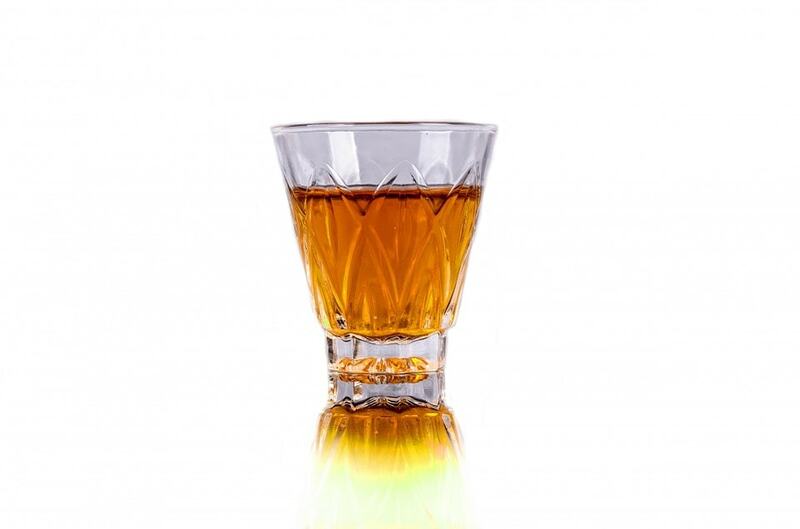 Welcome again dear readers and thanks for joining us as we talk Scotch Whiskey. Maybe those two words together make you think of your dad drinking some Cutty Sark, or the first time you had a fine single malt with a great steak. Perhaps Ron Swanson’s love of Lagavulin comes to mind (surely does in this mind!) Whatever it conjures up there’s a lot of info out there on Scotch so we thought we’d scratch the surface on this fine spirit. First, some facts. All Scotch whisky must be made in Scotland. There are two main categories of Scotch. Single malts come from a single distillery and are distilled entirely from malted barley. Malting simply means soaking the barley until it germinates, which releases enzymes that convert starches to fermentable sugars. The germination is stopped by heating the barley, sometimes over peat fires, which impart a smoky aroma. Single malt Scotch whisky means a Scotch whisky produced from only water and malted barley at a single distillery by batch distillation in pot stills. Single grain Scotch whisky means a Scotch whisky distilled at a single distillery but, in addition to water and malted barley, may involve whole grains of other malted or unmalted cereals. "Single-grain" does not mean that only a single type of grain was used to produce the whisky. The single in the name refers only to the use of a single distillery, not a single grain. Barley is a grain, and you can’t have Scotch without it, so any other grain being introduced means barley isn’t single anymore! Blended malt Scotch whisky means a blend of two or more single malt Scotch whiskies from different distilleries. Blended grain Scotch whisky means a blend of two or more single grain Scotch whiskies from different distilleries. Blended Scotch whisky means a blend of one or more single malt Scotch whiskies with one or more single grain Scotch whiskies. There are also 5 main regions of Scotch Whisky production in Scotland and have distinct flavor profiles from one another. Lowlands: Tend to be light and gentle with no peaty-ness. Grass, Honeysuckle, Cream, Toffee, Toast, and Cinnamon are common notes. Islay: The region is known for its peaty single malts and it's believed that whisky distillation reached Scotland from Ireland via Islay in the 13th century. Seaweed, Brine, Carbolic Soap, Apple, Smoke flavors are prominent here. According to the Scotch Whisky Association, Scotch whisky evolved from a Scottish drink called uisge beatha, which means "water of life". The earliest record of distillation in Scotland occurred as long ago as 1494, as documented in the Exchequer Rolls, which were records of royal income and expenditure. In the document, FriarJohn Cor is tasked with making “Aqua Vitae” That’s Latin for “water of life.” Sure seems like there’s a lot of ways to say “Scotch” but we don’t mind! Initially, Scotch whisky was taken for its medicinal qualities, being prescribed for the preservation of health, the prolongation of life, and for the relief of colic, palsy and even smallpox. In more modern times two events helped to increase whisky's popularity. First, the introduction in 1831 of the column still. This led to the production of Grain Whisky. Up until then, all Whisky had been made with malts. The lighter flavored Grain Whisky, when blended with the more fiery malts, extended the appeal of Scotch Whisky to a considerably wider market by creating a new category we already discussed: Blended Scotch. The second major turning point for Scotch was when the phylloxera bug destroyed wine and cognac production in France in 1880 by wiping out entire vineyards. The Scots were quick to take advantage, and by the time the French industry recovered, Scotch Whisky had replaced brandy as the preferred spirit of choice. Scotch whisky is always spelled without an “e” (as is whisky from Canada and Japan). There's not enough time in the day to write everything that can be said about Scotch. We encourage you to dive deeper on your own. Never had a scotch before? Nows the time to change that! Hopefully, after reading, you’ve got a little idea of where to start. If you’re well versed in your Scotch knowledge hopefully this read just made you thirsty and you’re thinking about having a nice smokey Islay this very minute. Whatever the case we’re glad you stopped by.